Before I started sewing I never realized how many fabric shops there were in my city. I’ve come across some of them by chance walking along the street, others have been recommended, others still I have dug up on the net and I dropped by at the first occasion. You often ask me for advice on fabric shopping in Milan, and so here is a small list of my favourites and those worth visiting. The list is not exhaustive, it doesn’t include all the shops in the city, but only those I know and have visited. My opinion is obviously personal, therefore I suggest you visit them all, if you have the opportunity, in order to pick your own favourites out. It’s a small historical shop close to the Central Station, which has been open for over 50 years. It was suggested by Rachele, a classmate of mine at sewing course last year, and it’s been a real find! Fabrics and remnants are very beautiful and at a very competitive prices, I’ve got a lot of real bargains. Fabrics are very high quality. It’s absolutely worth giving it a try and dropping by from time to time just to dig new remnants up. For who wants to visit on Saturday, remember it’s open in the morning only. It’s a historical fabric shop in Milan, founded in 1939. You can find it on Via Moscova since 1969. 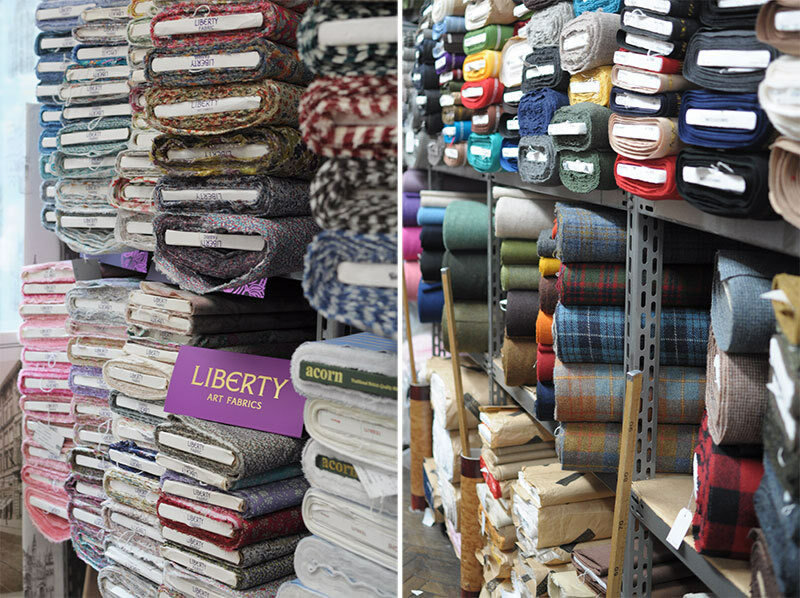 They have a huge variety of fabrics of all kinds (wool, cotton, linen, silk, jersey, lining, ect.). They sell Liberty fabrics too! The staff is very kind and willing to help you for any request. The shop is lovely even from the outside, with its vintage sign, that makes it look like an “Old Milan” shop. It’s a very beautiful and well-kept shop from an aesthetic point of view. They have a huge variety of fabrics and colours. Fabrics are all made in Italy by Clerici Tessuto, an historical textile company in Como, and they are used by a lot of stylists and designers all over the world. It’s worth getting lost inside and seeking inspiration admiring their big coloured walls full of fabrics! It’s a small but well-stocked shop. They have a lot of different kinds of fabric. I came it across thanks to the first Italian meet-up. You can have a look at the shop in this video. This shop isn’t too big either but well-stocked. The staff is very kind and you can find a lot types of fabrics for clothing and home-furniture. It’s close to Etro Outlet, so it’s worth popping around in both shops when you are in the area of Porta Romana/Piazza Cinque Giornate. Working in the Cadorna area, I’ve came across this shop by chance, walking around the streets. This is also a Milan historical shop. They sell fabrics for men’s and women’s classic clothing. Wool for coats and their vintage fabrics are very beautiful. It’s a big two-storey fabric shop. You can also find a well-stocked haberdashery’s, where I frequently stock up. You can find remnants at sale prices. 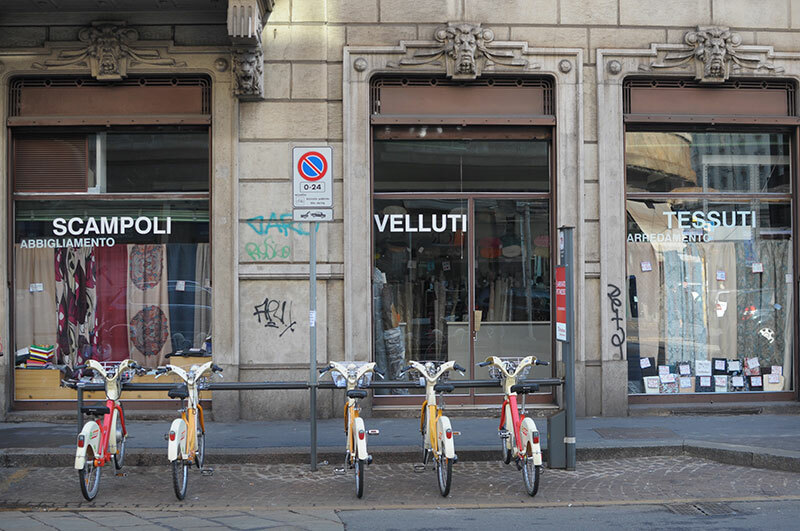 Tessuti Raponi has three shops in Milan, one in the Darsena/Navigli area, another in the Lambrate area and the last one in Bresso. I’ve visited the last one in Bresso only so far. It’s a big shop where you can find different kinds of fabrics and a lot of remnants. Here too you can find a well-stocked haberdashery’s, where I frequently stock up. They sell Burda patterns. It’s a nice shop in the Isola’s district (one of my favourite area in Milan for happy hour or dinner) that sells high quality Italian fabrics for women, men and bride wear. On the floor below you can find discounted fabrics and low priced remnants. 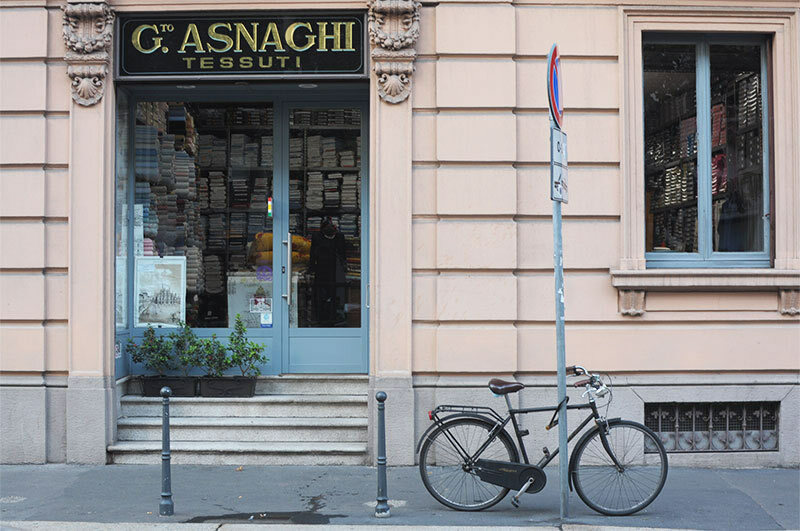 It’s an historical shop in Milan, founded in the ’20s. It’s a well-stocked haberdashery’s and they sell high quality fabrics, above all wool and cotton. I bought some beautiful laces in the past. The shop is small but very nice. It has an amazing vintage atmosphere, it’s like going back into the past. Very close to corso Buenos Aires, Lo Spazietto is a small temporary shop that periodically hosts young designers/crafters or small Made in Italy productions and sells fabric & haberdashery off two times a year. They have high quality Italian fabrics (from Biella district) and prices are very good. Buttons, zippers and trimmings are always discounted. Keep an eye on their Facebook page to know when the fabrics & haberdashery sales take place. I advise checking opening hours out by visiting their web-site or calling the shop directly. NB: These shops could be closed for holidays in August, in December (Christmas-time) or over other official holidays. Please check on their websites or call the shops to be sure they are open. Here is even a map of the shops above. Have fun and happy shopping! PH. Ladulsatina. I took the cover picture at New Tess. Thank you so much for this post! My daughter is visiting Milan and wanted to buy fabric for me; this helped so much to decide which shop to go to. She went to New Tess and found some stunning silks. Thank you! THis is Marina, fashion designer from Argentina! I will be in Milán in a few days, specially looking for white embroidered linnens for countryside brides! Do you have any specific store to recomend me? I am looking for italian fabrics for men suit, does anyone know any? Just wanted to say thank you for your hard work in putting together such informative tips for fabric shopping. I am intrested in purchasing print or plain cotton volie. Do you happen to know which shops in Milan would supply at a reasonably price. I have been advised to contact Ratti. Do you happen to know of any markets that sell fabric. Thank you for writing this post. We will be in Milan for a few days and I would love to bring a piece of fabric home to the United States as my souvenir. I will try to find one of these shops. Just wanted to say thank you for your hard work in putting together such informative tips for fabric shopping. I’m from Australia and coming to Milano in March so you have definitely saved me a lot of time which I am grateful for. Can you suggest any professional seamstress or tailors for small production runs? Many thanks! Thanks for the information , can u provide some fabric swatches. Hi!!! It is so good that I found you web page! May be you could advise me where to buy elastic lace for uderwear or lingerie? I am a lingerie designer and will be in Milan in November where I want to find some good but not expensive lace. Hi!There was a shop for lingerie fabrics and laces, but it went out of business unfortunately. You could try in these shops: Fonte della Moda, Merceria Guffanti (Corso Di P.Ta Romana 7, Milano), New Tess. Let me know! Surfing the web, I’ve just come across these two website: https://www.milanopizziricami.it/index.asp and http://www.ariannasrl.com …I don’t think they have a shop in Milan (maybe only headquarter), but you can try to contact them via e-mail to check if they have the lingerie laces you are looking for. 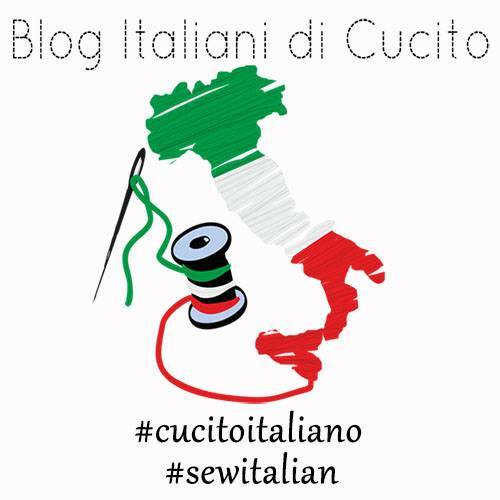 Do you know of any sewing course or workshop in milan that is not so expensive? Hi Stephie! Are you looking for sewing course in Milan taken in English or Italian? The school I attended have some very good sewing course (see here http://www.afolmoda.com/index.aspx – http://www.afolmoda.com/corsi3.aspx?idcorsi=e5ad9185-fd14-4526-a0a7-421183374a6a ) or you can try in this other fashion school http://www.naba.it/it/corsi-brevi/sartoria-base. Have a look here for short workshops: http://leschourettes.it/corsi.html or here: http://www.l-hub.it/corsi-cuci-stampa-tingi/corsi-cucito-macchina-e-mano . These courses are all taken in Italian. 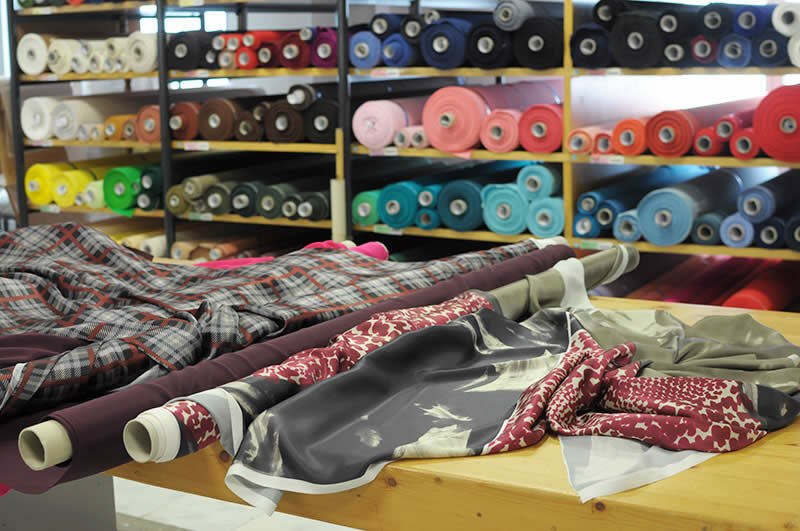 Are you familiar with Fabric outlets in the Milan or Como area? There are many manufactures, do any of them sell end of lines or remnants? I would love info on this. Your post is very helpful! . Hi Mary-Sue! Unfortunately I don’t know any manufactures that sells fabrics to private or fabric outlet at the moment. From time to time, in the past, I bought fabrics (mainly cotton for shirts) on sale at this factory (https://www.facebook.com/ShowroomOltolina/), you can try to contact them. I let you know if I’ll come across something! Hi, this is from China Fabric Company. If you may need fabrics, please just contact us. Our price and quality of the fabrics would make you surprised. Hi, very useful and interesting article. Thank you 🙂 Could you be so kind to tell me where I can find a fabrics with hairiness who resemble natural hairiness and color of animal coat like bear, panda, tiger and so one. Hi Rumi! Sorry for my late response. I’m so sorry, I don’t know where you can find these kind of fabrics. I’ve never used them so far. Thank you so much for this post, it was very helpful to me! I am going to be in Milano in the month of March. Is there any shop that you could recommend for colourful faux fur? Sorry for my late reply…I don’t know if these shops sell faux fur, I’m sorry! Which shop would you suggest for bride dress fabric and bridesmaids? Hi Noemi, I think you can find lots of fabrics for wedding dresses at New Tess. Hi! Thanks a lot for this post!! I’m interested in natural fabrics such as tencel denim (or any tencel fabric) and bamboo fabrics. Which of these shops do you think can be better? Do they accept credit cards? Thanks a lot for your help! Hi Nadia! I’m sorry, I don’t know which shop has this kind of fabric. I’ll let you know if I find something similar next time I’ll drop in. I think they all accept credit cards, but I’m not 100% sure, so it’s better to ask them for it before buying fabrics. Thank you so much for this. I am a dress designer going to Milan next month (I am Irish) and very excited. Can you tell me if any of the shops would be able to help me in English. I also speak French if that will help instead of Italian! Hi 🙂 Thank you for this amazing post. Can you please advise where is the best place for haute couture fabrics? As i am visiting Milan the coming few days. for this coat I’ve just sewed up (http://www.ladulsatina.com/cascade-duffle-coat/), I visited three fabric shops in Milan: the first one (€ symbol) has a woolen cloth at 18 €/mt (the fabric I bought), the other two (€€€ symbol) have woolen cloths at 45/50 €/mt or more. “€” also means that you can find remnant at a very low price compared to other shops…for instance last time I bought a 2 mt remnant of a beautiful wool blend jersey at 10 € tot, or a 1,8 mt remnant of silk chiffon at 15/18 € tot, or cotton for sheets at 7.5 €/mt instead of 12/15 €/mt (the average price). “€€€” means that you can rarely find remnants and you generally find silk fabrics at 35/40/45 €/mt or more and woolen fabrics from 30/40/50 €/mt or more. “€€” is the average, in the middle between “€” and “€€€”. Generally the more expensive shops have very very beautiful Italian and English fabrics, but you can find beautiful fabrics in cheaper shops as well, if you are luck. I love you post! Please can you recommend some sewing supplies shops in Milan? I’ve been looking for places buy knitting supplies, thread, needles and some beads. I don’t knit, so, I’m sorry, I don’t know shops that sell knitting supplies. They are both downtown Milan. So pleased to follow you on I.g. because you post in English and Italian. I learnt Italian in Perugia in the 60’s and have visited three times over the last five years. I am thinking of having lessons again here in Australia, so look forward to your posts. Didn’t realise there were so many material shops in Milan. Thank you Rosalie! I’ve never been in Perugia… I guess it’s a beautiful city! Thank you for the great article. Which shops would you recommend for upholstery and home decor type fabrics? Hi Jen! Try at EMPORIO TESSILE and NEW TESS, I remember they have also nice fabrics for curtain and furniture. You can search on Google Maps for “tessuti tappezzeria Milano” and you’ll find a list of upholstery and home decor type fabric shops. Hey! 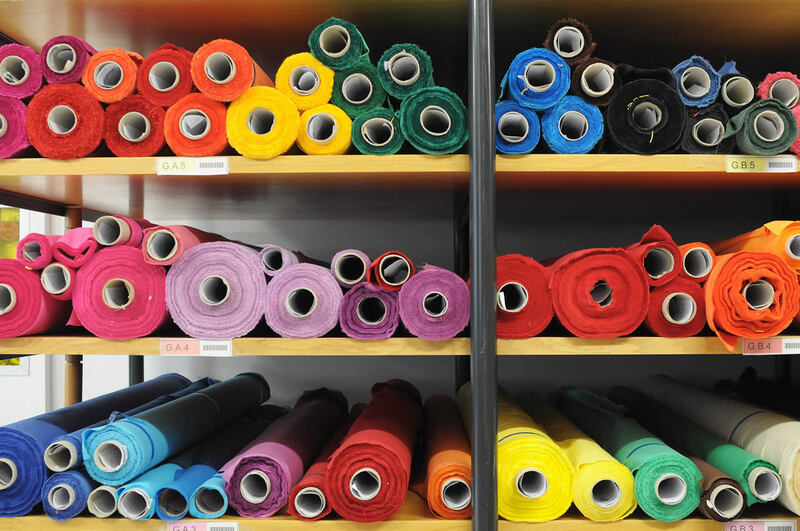 thank you for this nice information about fabric shops. can you advice some shop espicially im looking for curtain night fabric. thank you! and also some shop for wool scarf fabric. Hi Viktoria! We don’t use night curtains very much here in Italy, so I don’t know where you can buy them. Try at EMPORIO TESSILE and NEW TESS, I remember they have also nice fabrics for curtain and furniture. As far as the wool scarf fabric go instead, I think you can find them in pretty much all the shops. Could you please advice when is the best time go to Milan for the fabrics? When is the best offers? the worst time to go to Milan for fabric shopping is August because all the shops are generally closed. They can be closed over Christmas and New Year’s holiday too, so I suggest you not go on last days of December/first days of January. And also on 7th and 8th December (local and national official holiday)…to be sure, check here the official holidays in Milan (https://milan.usconsulate.gov/holidays.html), because shops are generally closed over official holidays. 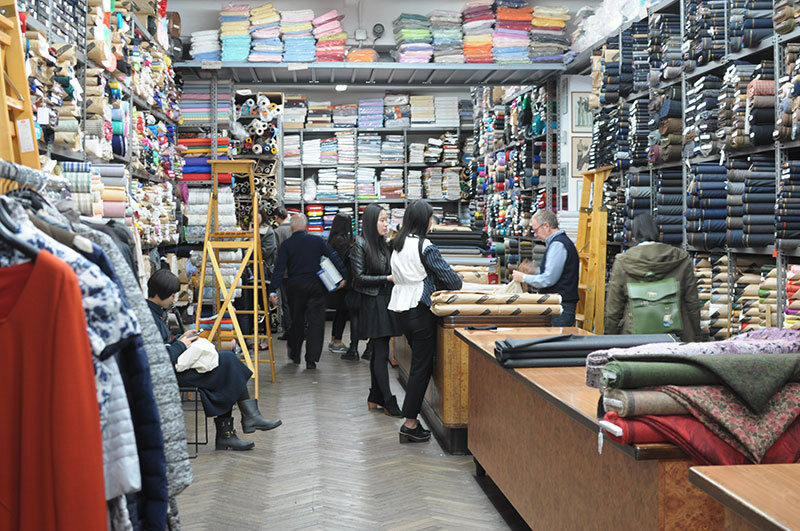 Maybe you can find some offers at the end of the season (for example in July for spring/summer or in February for winter), but fabric shops are different from clothes shops here. They don’t have end-of-season sale. So, excluding summer/winter holiday and official holidays, I think you can come here whenever you want, go around and looking for the best offers in different shops. I’m so happy you find this post useful! I’m sure you’ll find a lot of interesting fabrics in Milan’s shops! 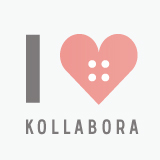 Thank you for writing a blog about fabric shops in Milan – myself and my two daughters – all keen sewers are visiting next Tuesday – can’t wait to visit your suggestions!! This is the best post for the fabric store in Milan! Thank you so much!!! I came across your site by a Google search for the “Lotta dress”, as Ijust bought the pattern! I am living in Milan, so I am really grateful for those tips! Thank you Anna! I’m very happy you’ve found my post useful. Let me know if you find something interesting. These shops are looking so great !!! Yes, they are great! 😉 Thank you so much Nat’cha!